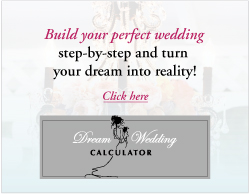 The most important Planning Tip for a bride is? Organization is key, but the day of your wedding have the time of your life because you can never get those moments back again. Favorite quote or personal saying? Work hard in silence, let success be your noise. 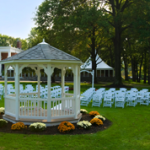 Able to accommodate 250 guests for a scenic outdoor ceremony, the gazebo and garden area feature fresh plants each season and include a stone walkway; everything you need for a magical wedding ceremony. 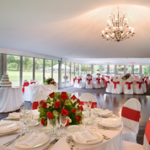 At 2,700-square-feet, our exclusive location in New York City’s largest park only hosts one event at a time, letting you rest assured that every moment of your special ceremony will be uninterrupted for perfect memories and an unforgettable day. With stunning scenery at every turn, the backdrop here is second to none. Serving as the ballroom throughout the season, the main pavilion is a 30x90-foot, glass-enclosed piece of art with sleek white drapery and exquisite chandeliers hanging from each of the three 10-foot peaks. 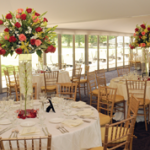 It comfortably seats 220 guests for sit-down receptions while maintaining access to the 576-square-foot dance floor, and can accommodate 350 guests for cocktail parties. Measuring just over 1,800-square-feet, this art deco venue seats 100 guests for full sit-down dinners. If coupled with the equally stylish restaurant, the Great Room can accommodate cocktail parties of up to 250 guests, making for quite an occasion. The doors open to a sprawling 5,000-square-foot patio for gatherings of up to 1,000 guests perfect for corporate parties, weddings, delightful bar mitzfahs, and a variety of other special events. You also have the option of tenting for additional shade or shelter. For a quick bite before you hit one of the courses, or for a luxurious sit-down lunch after your game, the lavishly renovated clubhouse is a fantastic place to relax, examine the detailed décor, and enjoy a thoughtfully-crafted meal. 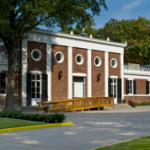 With both a snack bar and a full service restaurant, the clubhouse is equipped to satisfy all your dining needs.